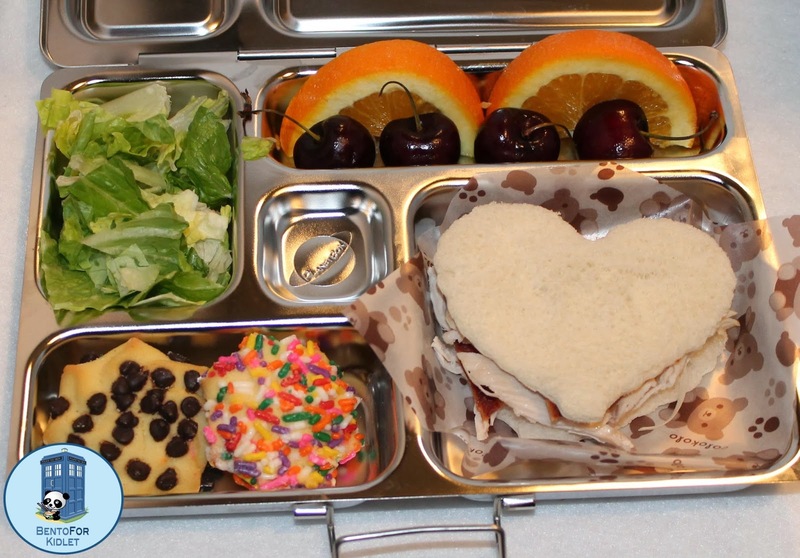 Bento for Kidlet: Happy Valentine's Day 2014! Being that I love Kidlet more than anything....he gets lots of special treatment on Valentine's Day! He got a special breakfast and lunch! Kidlet got breakfast in one of our EasyLunchboxes! 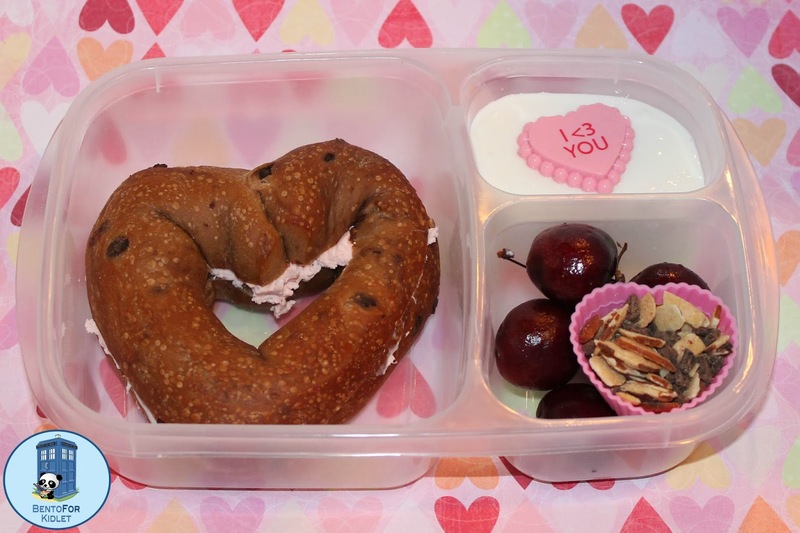 Main Compartment holds a heart shaped chocolate chip bagel with strawberry cream cheese. Small Side Compartment has coconut greek yogurt. Large Side Compartment holds cherries and topping for the yogurt consisting of dark chocolate bits and sliced almonds. Lunch is packed in our Planetbox Rover. Kidlet has a heart shaped chicken and bacon sandwich. On the side he has cherries, orange slices, romaine lettuce, and two shortbread cookies. Wonderful lunches! I love the heart shaped chocolate chip bagel! Is Kidlet not vegetarian anymore? No, he has recently started eating meat again.